A classic Goth track from 1980. Maybe not their most well known song but one of my favourites. Lyrically the song is about mental illness as it describes Christine, a woman with “22 faces” (“…Personality changes behind her red smile / Every new problem brings a stranger inside / Helplessly forcing one more new disguise…”). The song was inspired by the story of Christine Costner-Sizemore, whose battle with dissociative identity disorder was dramatized in the film The Three Faces of Eve. 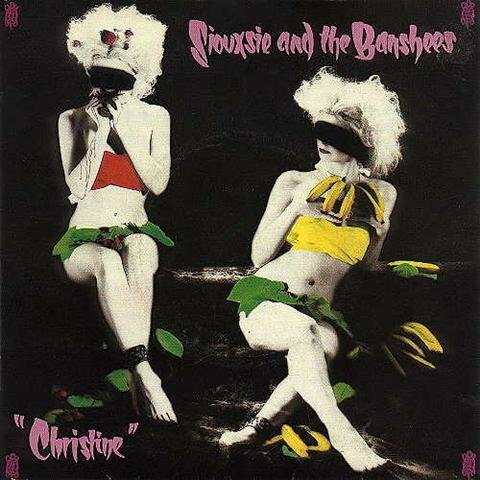 Two of Christine’s identities, the Strawberry Girl and the Banana Split Lady, are mentioned in the lyrics of the song. The two most extreme characters of this woman were named “Eve White” and “Eve Black”; those combined names became the title of the single’s B-side.